Software engineering from a project point of view embarks on software products that are both feasible technically and financially. Moreover, software projects must be completed on time and within budgets and are important challenges to software engineers. Research has shown that one-third of software projects are never completed, another third do not fulfill their promises.Software Engineering provides the software engineering fundamentals, principles and skills needed to develop and maintain high quality software products. The software engineering processes and techniques covered include requirements specification, design, implementation, testing and management of software projects. 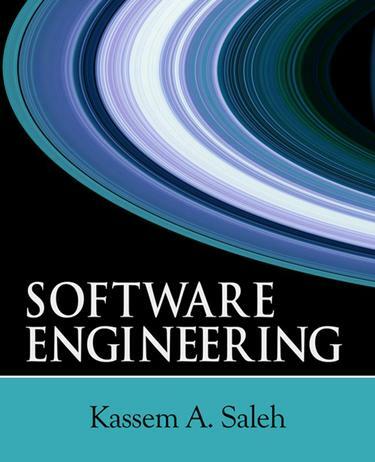 This up-to-date book is modeled on the recommendations and guidelines prescribed in the Guide to the Software Engineering Body of Knowledge (SWEBOK) published by the IEEE Computer Society, and the Software Engineering Curriculum Guidelines for Undergraduate Degree Programs in Software Engineering published by the IEEE Computer Society and the Association for Computing Machinery Joint Task Force on Computing Curricula. At the end of each chapter, the reader will be able to perform tangible software engineering tasks by applying the learned techniques and methods, will be familiar with the terminology, the principles by mastering the subjects, and will be able to analyze existing task deliverables, compare and critique the different techniques. The book is designed as a text for an undergraduate first course in software engineering and graduate bridging courses in information technology. In addition, Software Engineering can be used by practitioners who need to refresh their knowledge with the latest in software engineering techniques and processes. The prerequisite to use this text is to have a background in an object-oriented programming language.